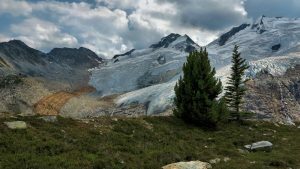 A Unique Opportunity | Backcountry Lodges of B.C. 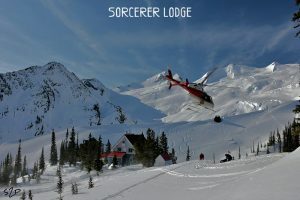 A Unique Opportunity | Backcountry Lodges of B.C. Ever wondered why every single backcountry lodge has a special feel to it? I’ve visited many of them and am trying to get to more because they are always carefully placed by people who understand a human desire for wilderness. They are remote, beautiful and welcoming and they encourage a relationship with the people we play with and the land we are privileged to visit. 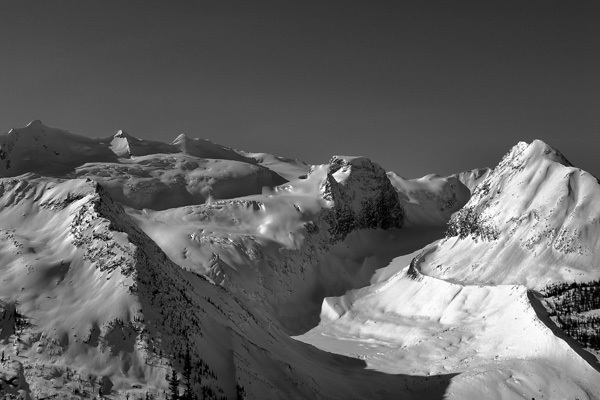 We look for all the basics for sure, good skiing or hiking, water, access (although it can’t be easy) and safety, but after that it is something entirely different that affects the final decision as to where we build. It’s a sense of belonging to a particularly beautiful piece of our world, a feeling of place. This decision is a big one and it’s not something that can be changed easily. It is a long-term commitment requiring a huge investment in time, energy and resources. So of course, they are special – all of them. When you visit a backcountry lodge you feel protected from the busy world and all its problems and challenges and get a glimpse of the value of wild places in our changing world. You may also gain some insight into how remarkably fragile they are. Despite the rugged landscape, the mountains, ice and old forests that look like they have been there forever, things are changing. This is where the backcountry people have an opportunity that few others can match. We are well placed to observe change in our natural world. We can see the ice melting, tree species changing, and animal populations rising and falling. We have a convenient collection of people who are keen to record these changes and we can facilitate the scientific studies needed to document them. There have been several opportunities for the backcountry lodges to become involved in studies. Parks have been reaching out, environmental groups have approached us, universities, and individual researchers are looking for help. Sometimes money is required, but often we can contribute in other ways as well. Shared helicopter time, local knowledge, muscle, and a warm, safe base station in the alpine all help. Most of all, we can educate people. Our customers want to learn and whether it’s conversation on the up track, displays in the lodge, referrals to experts or an opportunity to chip in, they are keen to be involved. Sorcerer Lodge has been searching out ways to contribute to environmental studies of all sorts. We have been actively involved in a project on Whitebark pine for several years now providing shared heli, accommodation, and some time and energy for inventories. The lodge is ideally located in an area with a particularly high population of Whitebark. Our staff and clients have also been monitoring and reporting on several species of interest to many research groups. Mountain goats (which by the way, are not really goats, but are in the same sub-family as antelopes and musk-ox), wolverines, marmot, pika and white tailed ptarmigan, are on the list of localized high-elevation species identified as either at risk or becoming vulnerable. There are many more. Our location at the base of Nordic Glacier has helped us to become heavily involved in a study of the effects of climate change on glaciers in the Columbia Basin. UNBC, UBC and the Columbia Basin Trust all contribute to a valuable study that will help to predict the impact of ice loss on water in rivers and creeks that feed the reservoirs of the Columbia River Treaty. This intensive study of the changes in the glaciers involves mass balance work, LIDAR, radar, water monitoring and weather data collection. Backcountry lodge owners take our shared responsibility to ensure healthy ecosystems and to protect species at risk very seriously. We are in a unique situation to contribute and understand that the lives we have chosen depend on the wild places we live in. Sorcerer Lodge is available to research groups and organizations needing a place in the alpine wilderness.